Novice Buddhist monks chant, pray and play music at a Buddhist ceremony at Hemis Monastery in Ladakh. 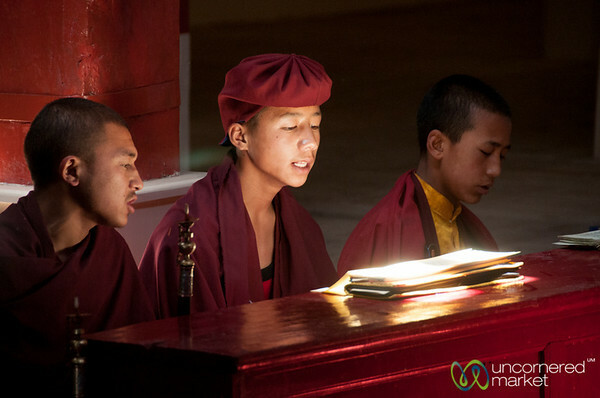 Young Buddhist monks gather together for a morning ceremony and prayers at Hemis Monastery in Ladakh. 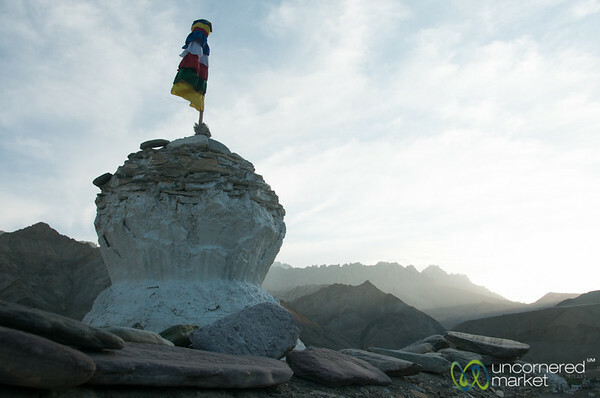 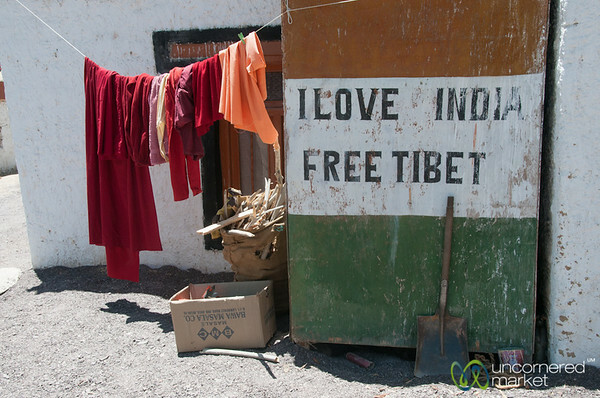 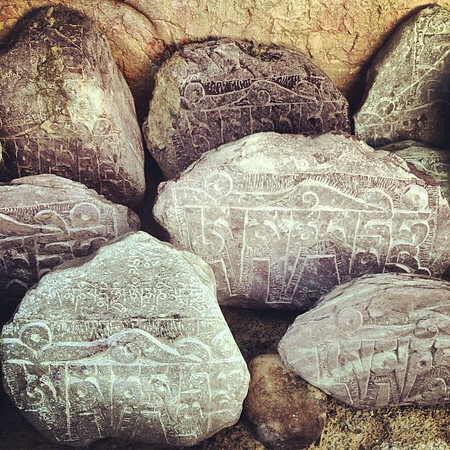 "I love India, Free Tibet" - seen at Likir Monastery in Ladakh, India. 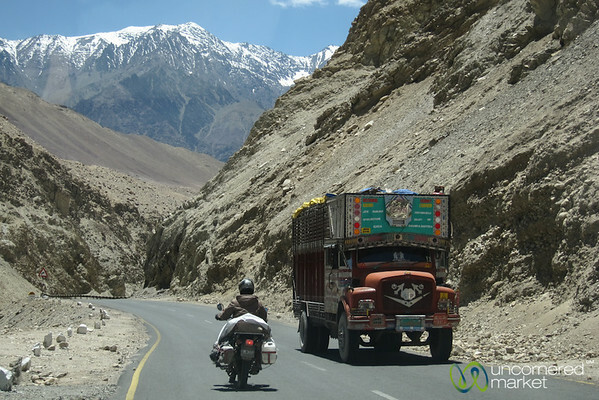 View from the car on the way from Leh to Likir in Ladakh, India. 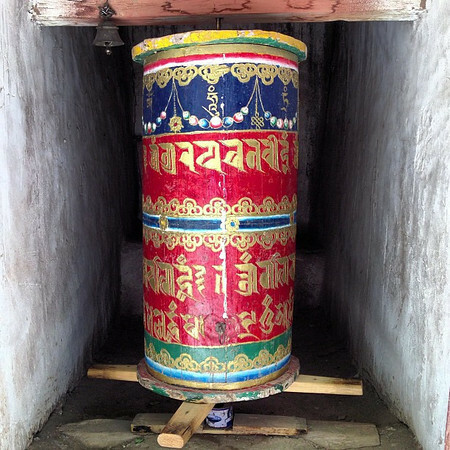 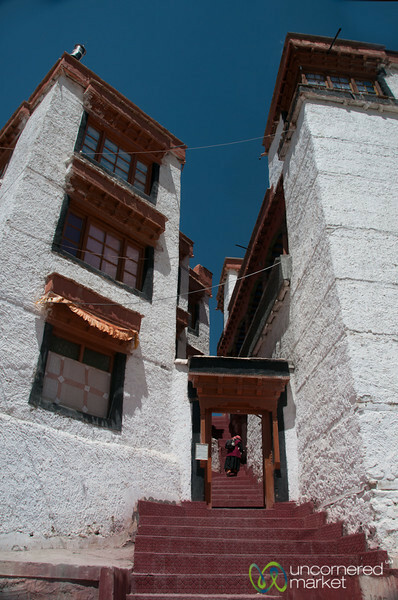 Chortens at Lamayuru Monastery in Ladakh, India. 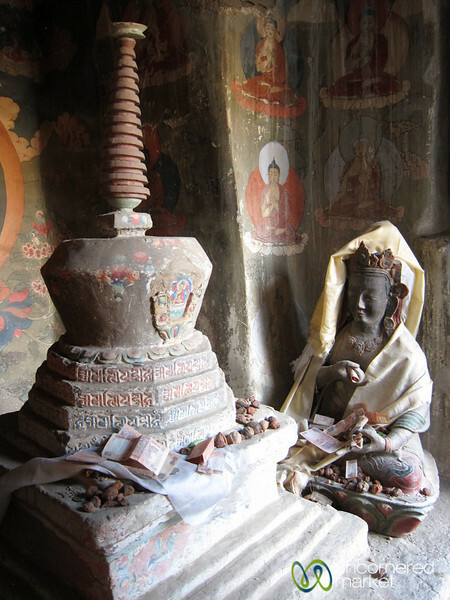 Lamayuru monastery with a small, dark temple with chorten and statue. 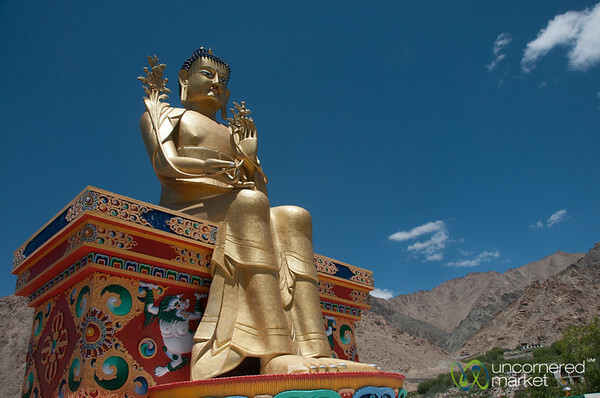 Ladakh, India. 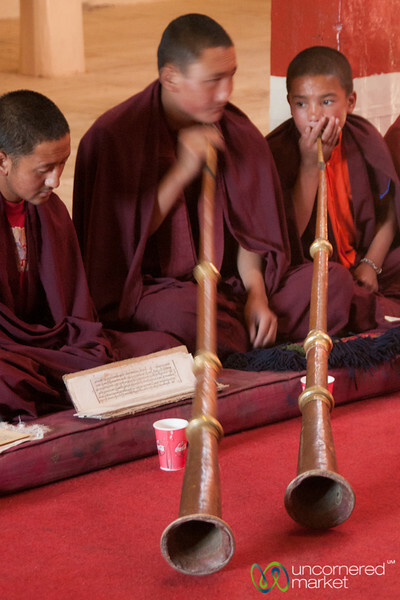 Young Buddhist monks play the dungchen (Tibetan long horn) at Hemis Monastery in Ladakh, India. 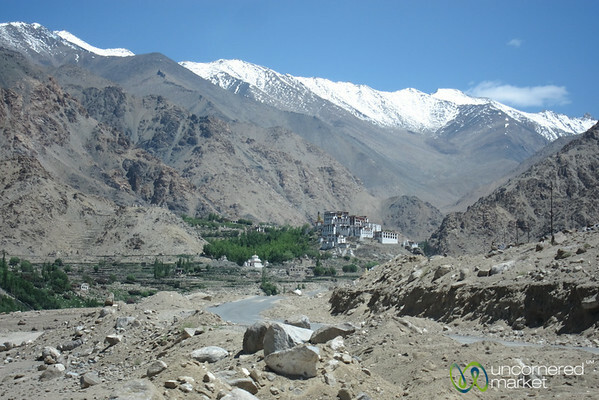 View of Likir Monastery from the road. 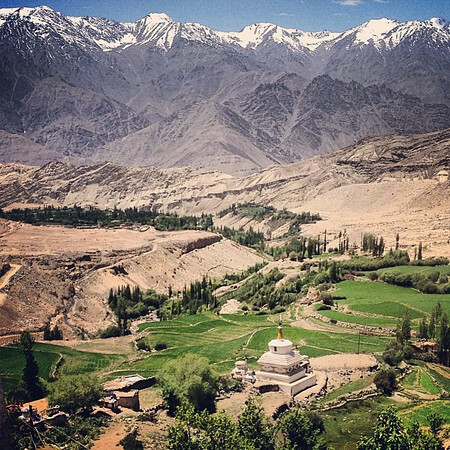 Ladakh, India. 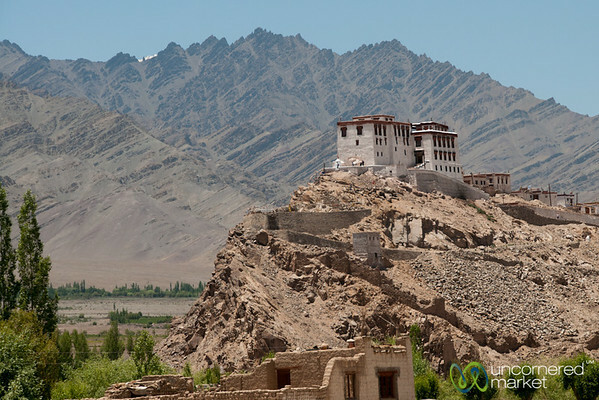 Likir Monastery perched high on the hill in Ladakh, India. 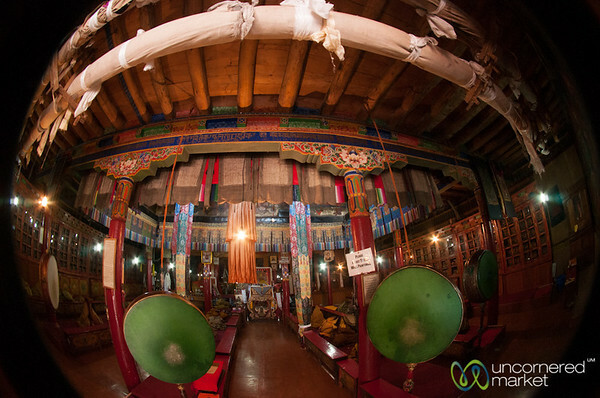 Fisheye view inside a Buddhist temple at Likir Monastery in Ladakh, India. 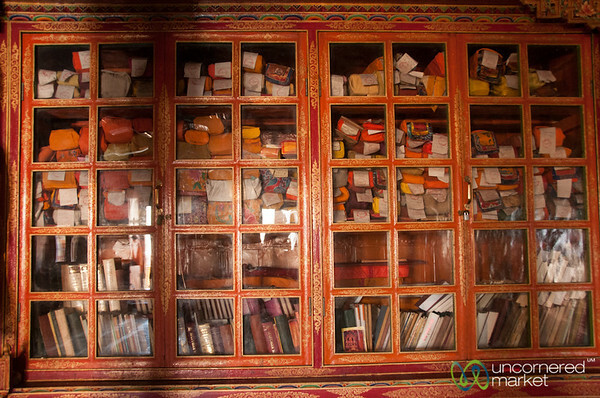 Buddhist teachings and lessons in traditional bindings (books) at Likir Monastery, Ladakh. 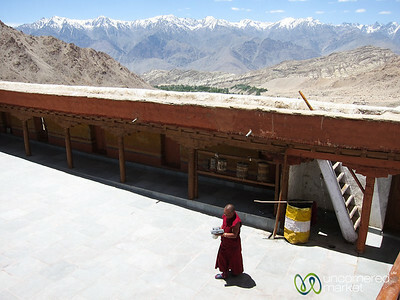 Likir Monastery, Buddhist monk in courtyard. 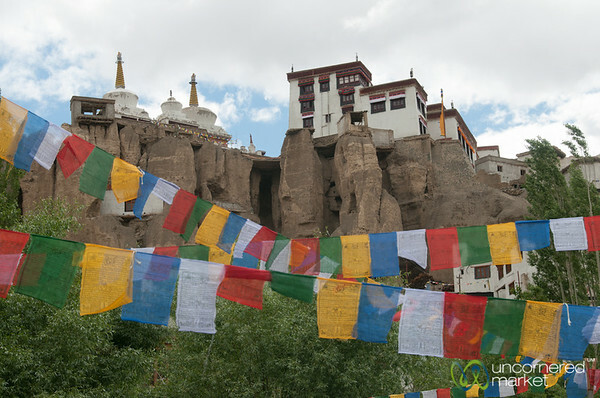 Ladakh, India.